Rebuild kit for rear master cylinder on 1958-1979 Big Twin. 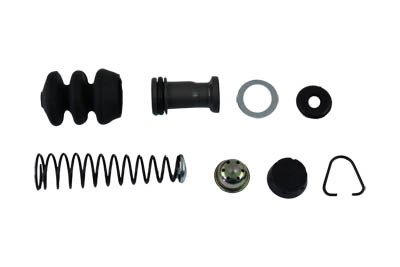 Kit includes master cylinder boot, o-ring repair kit, and master cylinder spring with cap valve and seat. This master cylinder rebuild kit is manufactured to meet OEM specifications for long lasting durability and performance.